Fraud in medical care is connected with organized crime groups and a very small minority of the suppliers of health care and dishonest consumers, which intentionally submit, or causes other person to present false or confusing information to be used in the determination of the amount of healthcare benefits to be paid. Miami Health care fraud includes insurance fraud, drug fraud and medical fraud. This offense occurs when an entity or individual embezzle a program of medical care, or government insurance, such as Medicare, Medicaid or equivalent state programs. The way this is done is very versatile, and participants in this fraud are always looking for new ways to deceive the law. The damage caused by this crime can be retrieved by using the False Claims Act. The primary agency for revealing and investigating healthcare fraud, having federal and private insurance programs jurisdiction, is the he Federal Bureau of Investigation (FBI). Congressional Legislation demands for health insurance to pay a legitimate claim for a period of 30 days. The Federal Bureau of Investigation, the U.S. Postal Service and the Office of Inspector General have the responsibility to investigate healthcare fraud. However, due to the rule of thirty days, these agencies seldom have sufficient time to execute an appropriate investigation before an insurance company has to pay. Medicare is a nationwide reimbursement federal plan that covers damages for adults 65 year old and older. Medicare fraud includes upcoding, unbundling, overbilling for medical supplies and equipment not truly used, failing to return overpayments and others. Medicaid is a federal and state reimbursement program that provides health care to low income people. Medicaid fraud more or less includes the same as Medicare. It is a misrepresentation made by a healthcare provider knowing that the deception could result in unauthorized benefit. Billing for services not rendered: These services were never rendered but entire claims with charges were submitted. Duplicate billing: Occurs when the same claim for provided treatment is submitted to insurance companies twice. Billing ghost visits: Occurs when a health care provider submits a claim of a patient that has not been taken care of to Medicaid in order to get reimbursed. Billing more hours than the real ones: A provider inflates the amount of time spent with patients. Falsification of credentials: Introducing qualifications of a licensed provider to be used by an unlicensed provider for the purpose of defrauding the healthcare programs. Substitution of generic drugs: Occurs when Medicaid pharmacy sends invoices with a cost of a more expensive brand of medicine when, indeed, a generic alternative was supplied to the patient at a considerably lower cost. Billing for services or unnecessary tests: Occurs when a supplier misrepresents the diagnosis and symptoms of a beneficiary, also receives payments for unnecessary tests. Billing more expensive procedures: Occurs when the provider bill for a particular service through more than one procedure, instead of bundling together which could cost less. This results in a higher payment for the provider. False cost reports: When personal expenses are included in health insurance claims. These costs typically include the cost of personal items. Kickbacks: This consists of a small cash kickback, or jewels, free vacations and others to the providers to perform unnecessary services in order to generate more profit. Penalties for Healthcare Fraud vary extensively depending on the state the offense occurred, criminal history of the defendant, and amount of money obtained. Penalties for false statements to law: Fines not exceeding $ 10,000 or imprisonment up to 5 years, the penalties can be combined according to the seriousness of the charge. Penalties for Fraud to the Social Security Act: Penalties are given by fines not exceeding $ 25,000, imprisonment for up to 5 years or both. Penalties for Fraud to the Civil Monetary Law: Offenders cannot demand a jury trial. The judge sets the value of the penalty, which cannot be appealed. Doctors found guilty of making false statements to apply for health insurance can be fined up to ten thousand dollars for each of the medical services that were fraudulently represented. In addition, the doctor may also be disqualified for health programs. Penalties for fraud Federal Mail: Generally apply to providers of healthcare using communication mechanisms such as email, television, radio advertising to share the deceitful schemes. Each conviction for fraud results in a penalty not exceeding $1,000, imprisonment for up to 5 years or both. Penalties for Fraud to the Act of Health Insurance Portability: Any person convicted of intentionally trying to defraud benefit programs of healthcare through a false identity or fraudulent representation will face penalties of up to 10 years imprisonment or an equivalent fine. Healthcare laws are constantly changing, leaving the healthcare providers and organizations open to criminal investigations and substantial charges. Physicians and healthcare professionals in general may even lose their licenses for even minor violations due to the vulnerability of victims involved in healthcare fraud. It is considered to be a brave and honorable act to blow the whistle when you have evidence that a corporate or employer may be committing fraud against the government. The False Claims Act protects and reimburses whistle blowers that have the courage and rectitude of reporting fraud. In addition, the whistle-blower receives a compensation based on the amount of money recovered by the government. Healthcare law is extremely complex and can require competent and knowledgeable lawyers. This is the most important decision you can make if you or a loved one is involved in a healthcare fraud. A skillful Federal Criminal Defense lawyer can instruct you as to your options, assist you in making urgently important life decisions, check into thoroughly the factors that led to your arrest, skillfully review law enforcement personnel, and prosecute the case. These types of offenses require an exhaustive investigation into all elements of the criminal allegations against you. The legal system is designed in such a way that even if you have knowledge it is almost impossible to defend yourself. Fraud defense lawyers attempt to spot specific arguments and factors that could invalidate any potential crime, reduce a potential sentence, or even reduce a sentence or remove some or all charges. Our Law Office has the qualified criminal defense lawyers that will be at your side aggressively defending your rights in order to successfully fight the charges for which you have been accused. Gallardo attorneys with wide knowledge in these types of fraud cases can help you investigate your case in order to detecte any vulnerability and use on your benefit; therefore, they will determine the best legal options available for you. 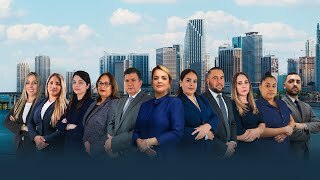 The attorneys at Gallardo Law Firm, when handling healthcare fraud cases in court, give people a powerful voice to stand up for their rights. Our attorneys have firmly set themselves as outstanding attorneys who have no fear to go to court to get their customers the deserved compensation. What is considered health care fraud? How can a fraud in the healthcare system affect a common citizen? Healthcare fraud has a huge impact on the quality of health care provided to people and on the costs on consumers, employers and taxpayers. It also harms people who are subject to unneeded serviceids or serviceids provided by not licensed providers or not qualified providers. What are types of healthcare fraud? Double billing for the same procedure, dispensing generic medications and billing for branded medications, billing for unnecessary serviceids, and billing for serviceids not actually performed or a more expensive serviceid than they actually rendered, among others. What should I do if I believe there is healthcare fraud going on? You can call the Insurance Company; you can also contact the state agency responsible for fraud fighting in the health care system and file a complaint with the State Medical Board. How can I stop fraud in the healthcare system? Be alert when reading your Explanation of Benefit; make sure all the serviceids listed were received. Do not give your health insurance identification number or personal information over the phone to anyone. Do know your warning signs. How does healthcare fraud happen? Sometimes the federal government cant spot a healthcare fraud because the counterfeit payment information is covered up. Some healthcare companies like to show some serviceids were performed or required by using medical terminology that seems genuine. Generally, whistleblowers in these types of cases are employees who are aware of company practices. These individuals may become a bit concerned about job security. Thats why the law protects them from any discrimination or retaliation. They may even be entitled to some compensation in the event harassment occurs. A criminal defense lawyer from Gallardo Law Firm can review your claim and talk about possible outcomes. We always expect our loved ones to receive the best care possible when we entrust them to a care facility. Although there is no doubt most facilities try their best to ensure the safety and comfort of their residents, sometimes there are situations in which abuse and neglect may occur. This is a serious crime that should be handled by the law. Patients are entirely dependent upon the care and the serviceids provided by these facilities. An attorney from Gallardo Law Firm can help you investigate these crimes. We are devoted to ensuring the safety of patients at these facilities. There are both civil and criminal penalties for health care fraud. State and federal health care fraud charges can lead to severe consequences when a person is convicted. Criminal penalties will have fines, prison and restitution (compensating the victim for any money lost caused by the fraud). Civil penalties involve the victim having to pay only for restitution. There is no jail time or fines caused by civil penalties. Why should someone become a whistleblower and how much money they get? By becoming a whistleblower you are fighting corruption and fraud. Its very honorable doing so and you may be entitled to some compensation as well. Although whistleblowers can potentially receive millions of dollars, it all depends on the size of the fraud and what was collected under a False Claims Act case. Remember you may face flashback from the company and your career may be at risk. This is why the government offers incentives, which can sometimes amount to millions of dollars.